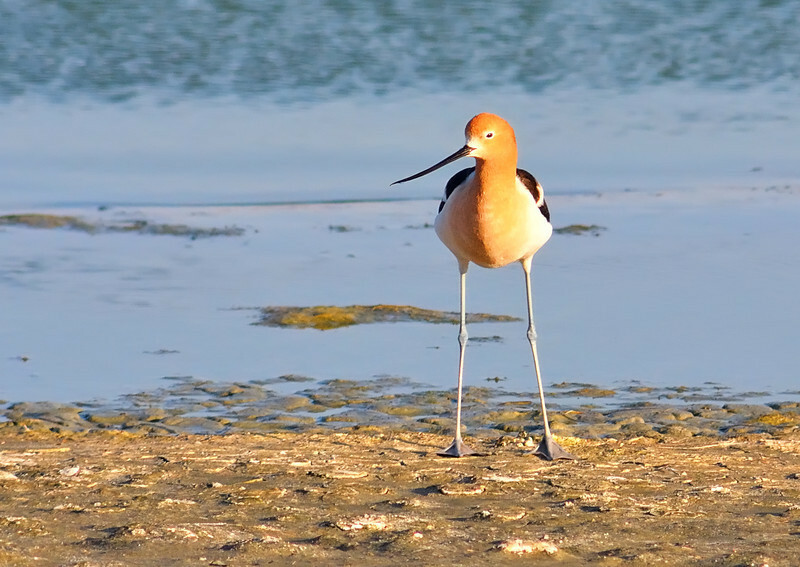 And a fun fact you might not have known about American Avocets is that they may parasitize other species' nests and are themselves parasitized at times by Black-necked Stilts and other species. The stilts are raised as if they were their own babies. And for those wondering on what size they are, this bird is under two feet tall (17-19 in/43-47 cm).